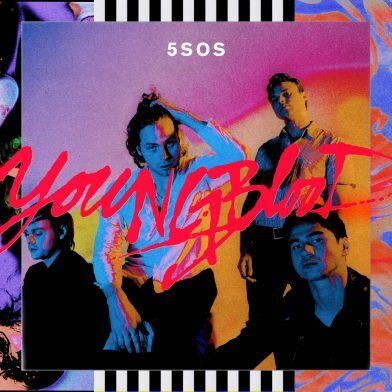 5 Seconds of Summer (5SOS) today announce the release of their third studio album, ‘Youngblood’, set for release on June 22 via Capitol Records. Today, the band shared the album’s cover and let fans know the title track will be released this Thursday, April 12, at 3pm BST. With the spring 5SOS3 tour completely sold out, the band is making good on its promise to fans for a more extensive outing, including larger venues and amphitheaters across the run. The ‘Meet You There Tour’, produced by Live Nation, will launch on August 27 in Toronto, ON and include a show at Aragon Ballroom in Chicago, IL on September 8. The 25-city North American headline trek will conclude on October 12 with a concert at Los Angeles’ Greek Theatre. 5SOS are also due to perform ‘Want You Back’, the first single from the new album, on NBC’s ‘The Tonight Show Starring Jimmy Fallon’ this Wednesday, April 11 – the eve of the band’s sold-out show at New York City’s Irving Plaza. The track debuted at No. 1 on iTunes in over 18 countries and has already amassed more than 60 million streams worldwide. ‘Want You Back’ showcases the bold new approach 5SOS takes on ‘Youngblood’. Luke Hemmings’ passionate yearning for lost love finds him breaking into a searing falsetto on the infectious chorus. The soaring production and upfront bass line, meanwhile, finds the band exploring grooves and emotions like never before. An acoustic version of ‘Want You Back’ is out now along with ‘Want You Back’ (Tritonal Remix). The official video, which was directed by James Larese (Eminem, Fall Out Boy, Imagine Dragons), can be seen HERE.